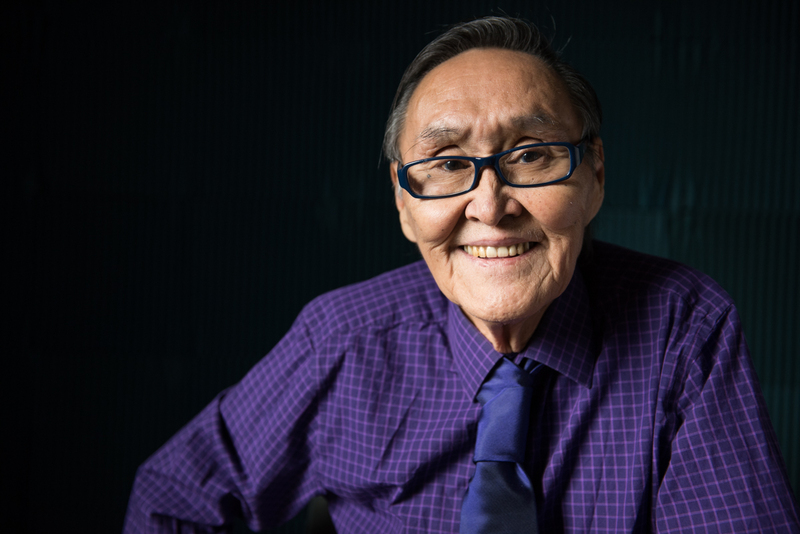 John Active, the legendary Yup’ik storyteller and host of Ketvarrluku and Talkline, has retired from KYUK. On March 30, Active co-hosted Talkline with KYUK’s own Diane McEachern for his last show. The show will continue with McEachern and Peter Atchak. “You are so fun to host with. I really enjoy it; we have a good time,” McEachern said. Following the show, KYUK hosted a potlatch in Active’s honor. Active has been with KYUK since the beginning, translating Yup’ik and English news, hosting shows like Ketvarrluku and Talkline and filling countless roles with KYUK for decades. Bethel City Council Member Mark Springer pointed out that the station was a pioneer in bringing bilingual content to public broadcasting nationwide, and that John had been a part of that. Springer says that leadership has continued. “I think he’s really been an inspiration to Alaska Natives and Native Americans because he’s been recognized nationally for his work,” Springer said. It is hard to imagine him not being at the station. Active has retired before from KYUK –and come back. Swope pointed out that John Active’s unique voice has been a part of what has tied the Yup’ik Culture and everyone in the Y-K Delta together. John didn’t find it easy to accept all that praise. Active said that he’s glad he was raised by his elders, his grandmother and grandfather, and thankful for whatever ability he has to pass down these ways. But who knows, it could be that KYUK see another potlatch the next time he retires.